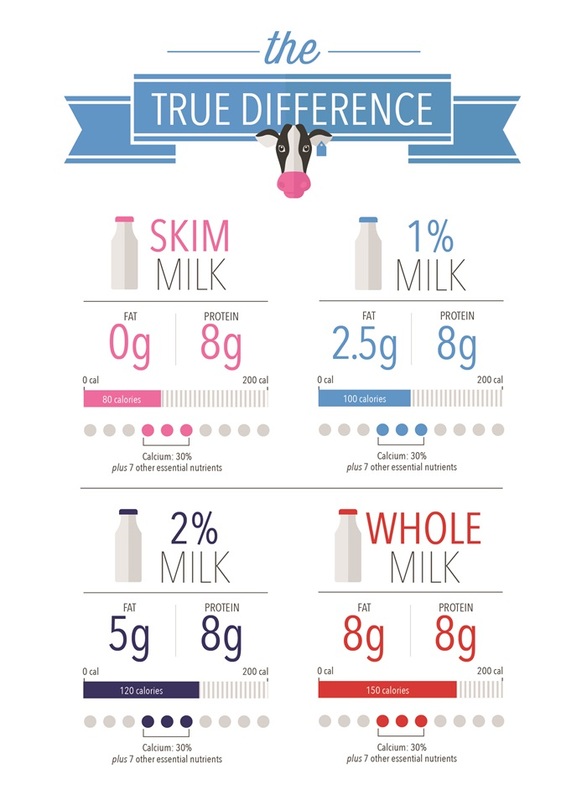 Again, the only difference between the types of milk is the amount of fat, which also is reflected in total calorie differences among different types of milk. How is this done? Before milk is bottled, all of the fat is removed. It’s then re-added to the milk in the various percentages. None of these milks are watered down. While the amount of fat in your milk may vary, you can feel good knowing that all cow’s milk contains the same nine essential nutrients.